Choosing a memorial for you and your family is an important decision. We at Johnson’s Monument Company understanding how difficult it can be during your time of grief. 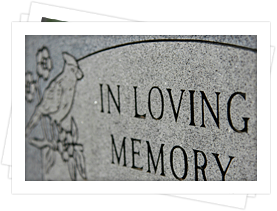 Let us help you design the perfect granite or bronze memorial to ensure you and your loved ones won’t be forgotten. At Johnson’s Monument Company we are committed to giving our customers exactly what they want and need at an affordable price. 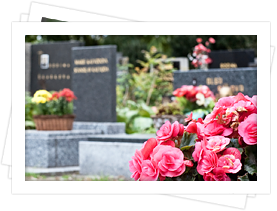 We will help you design the perfect memorial for you or your loved one, utilizing our modern design program. 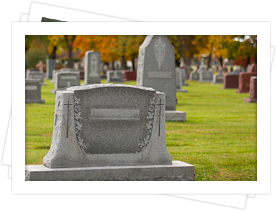 This program allows families to see the final layout of their monument or marker before it is made ensuring family satisfaction. We offer personalized service, compassionate consultation and high quality monuments. Johnson’s Monument Company uses only the finest granites available. We also offer a wide variety of colors, styles and enhancements to allow you to completely personalize you memorial. Johnson’s Monument Company will meet any price for identical services and/or merchandise on a current quote by any local monument company. If you find such a lower price, we will offer the identical monument, marker, or bronze plaque at that price and give you an additional 10% off the difference for bringing it to our attention. Again, memorializing a loved one can and should be a rewarding experience for everyone. If there is anything, we can do to help you realize that for your family, please contact us at (515) 523-1200 today.